An adult Western burrowing owl stretches near her burrow, where a newly hatched brood waits for their next meal. 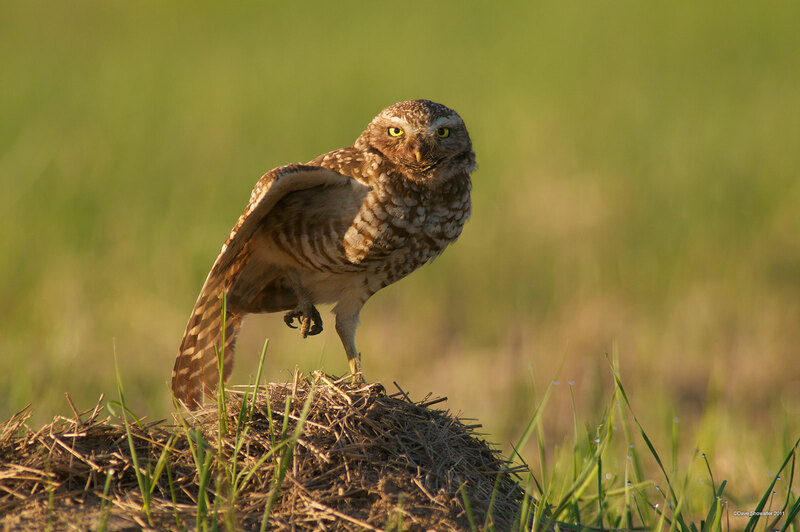 In the West, burrowing owls use aboandoned prairie dog burrows to nest and raise their young. Photo © copyright by Dave Showalter.